Last year, our friends at booze merchant Flaviar took a stab at blending their own heavily-peated Scotch whisky, Son of a Peat. This was a blend of eight single malts from three regions on Scotland, and while it wasn’t my favorite ultra-peated whisky, it did at least deliver on its moniker. Now, Son of a Peat is back with Batch 02, and Flaviar says it features “slightly improved DNA that expands and evolves the taste to new heights. 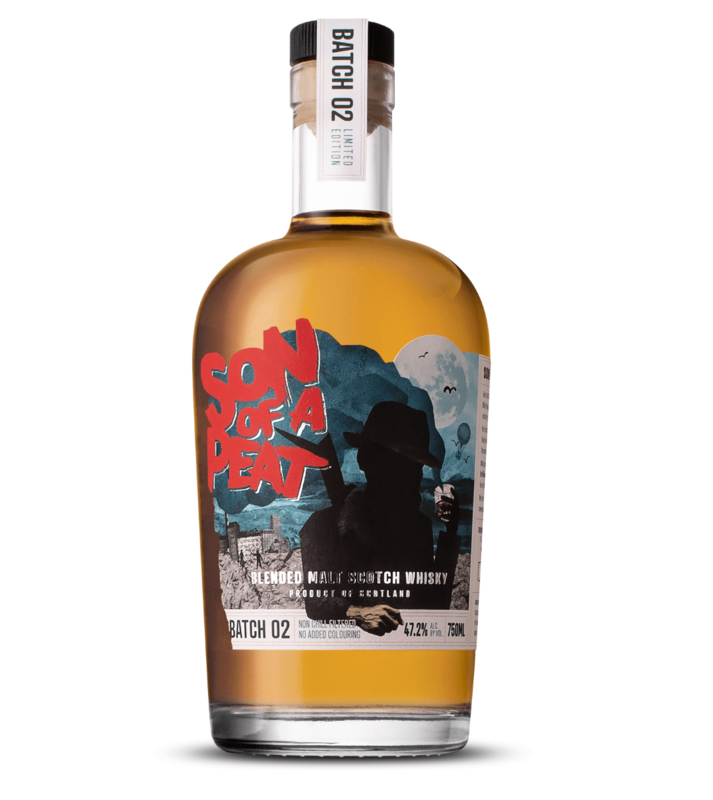 The essence of Islay, Islands, Highland, and the Speyside trickled down the cooling pipes to be reborn as a complex peated maelstrom.” The addition of Highland malt to the mix is new for this round; Batch 02 is also slightly lower in alcohol than the original, by about 1% abv. I have to say I like this quite a bit. Flaviar’s tweaks have clearly been made to sweeten up the whisky and give it a healthy dose of fruit. Notes of apple and banana are immediately evident on the nose, balanced by a solid slug of smoky bacon. Basically, you’ve got a nice little breakfast in a glass, with all the key food groups represented. The palate continues the fruit-heavy theme, with a big apple cider note that leads to notes of caramel sauce and orange peel. Again, there’s a sizable yet manageable level of peat throughout, which keeps the sweeter elements firmly in check. On the finish, things get a bit more dusky, with dark chocolate and some pepper notes dominating. All told it’s far less peaty than Batch 01, and that’s not a bad thing considering there’s no shortage of blunt peat bombs available if that’s what you’re after. I have to agree with Flaviar: Its “DNA improvements” have worked out quite well. Note that the whisky is already selling out, but Flaviar has kept a few bottles back that appear on its website from time to time, so sign up there for alerts if this review has you itching for a dram or two.